Except when I’m out of town, every Sunday this summer has been devoted to that Ducati Streetfighter hooligan machine. One other exception has been when Doug and Riley call inviting for a ride with the dirt machines. 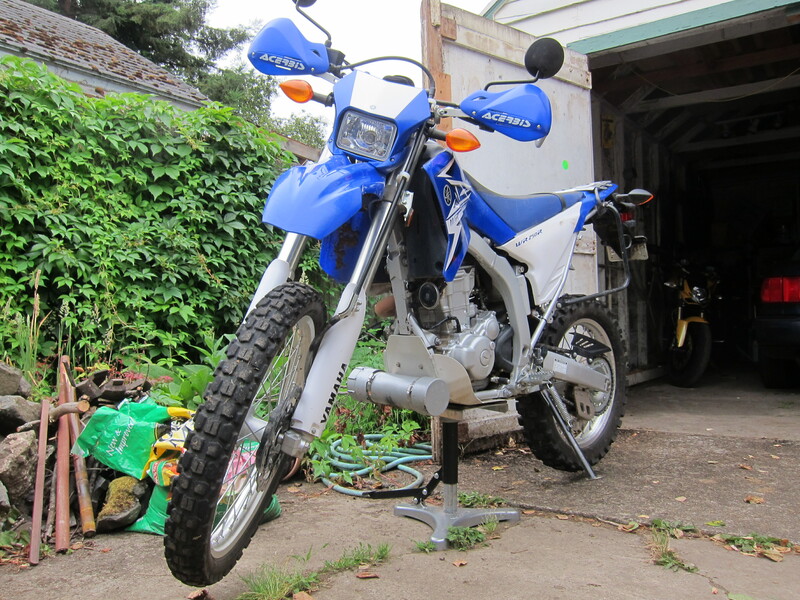 Checking the oil, tire pressure, lube the chain, and I’m ready to go. 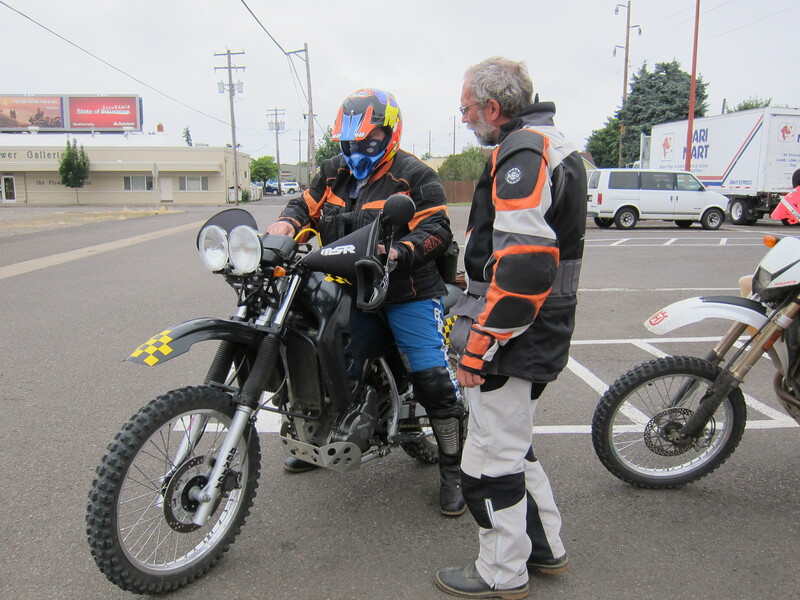 Doug stops by at the usual time, 9:30am, and we ride together via Northwest Expressway and then Prairie road to Junction City where we meet Riley. In Junction City, waiting for Riley. Riley arrives, he is the chief, he gives us the menu of roads. Some of the roads go by nick names: car wash (overgrown so we have to make our way through leaves and branches resembling a car wash), wood pile (the one where a few trees have fallen on the road and have not been cleared). Listening to the Instructions from the Chief. Junction City, July 22nd, 2012. I just listen to the sequence of roads and find my place at the end of the line. 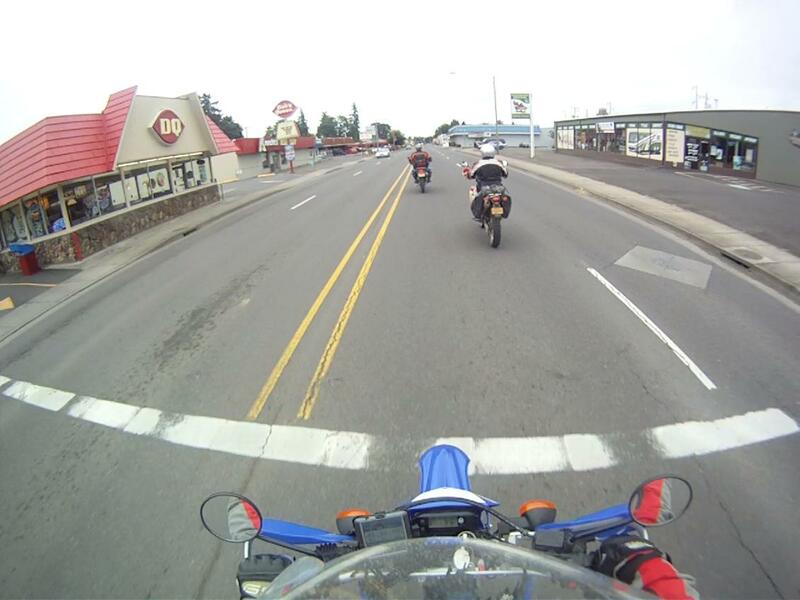 When riding with Riley, I feel like I’m the “kid” of the bunch. I don’t mind it at all, actually, this is a good attribute for these Sunday rides with them. 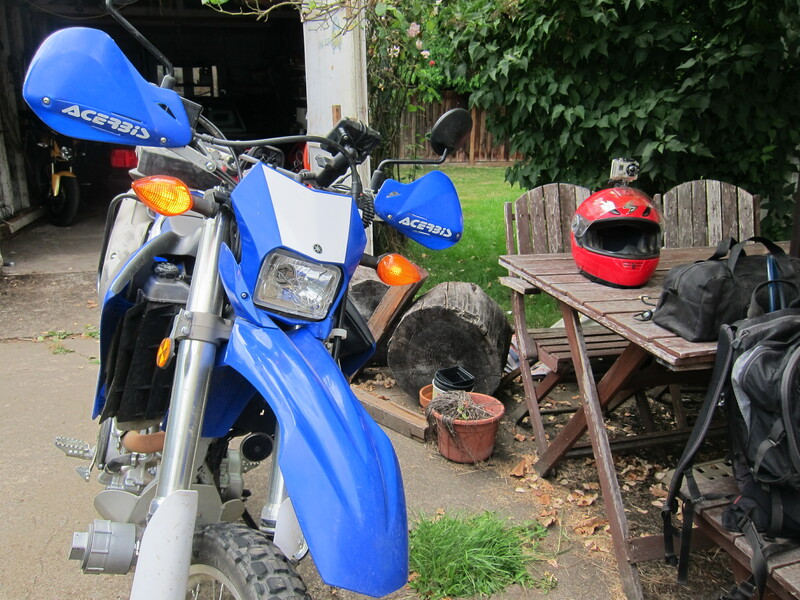 Although I like riding solo, one advantage from riding with others is that I don’t need to worry about where to go. Riley knows the Oregon Coast Range like the palm of his hand. It is not like Junction City is a large town, but each time Riley finds a different way to lead us out of town. 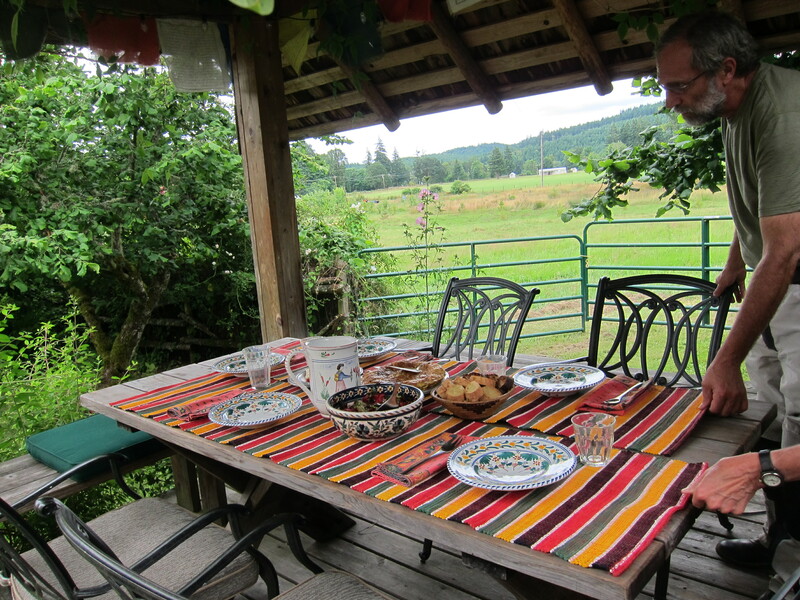 Soon we are in the country side of the Willamette Valley. The day started with a heavy mist. On our way to Junction City a good amount of water was accumulating on my helmet visor. It was almost like rain, but it is only a heavy Ocean mist, that every now and then make its way to the valley. This mist usually blows by mid morning. And it was not different today. 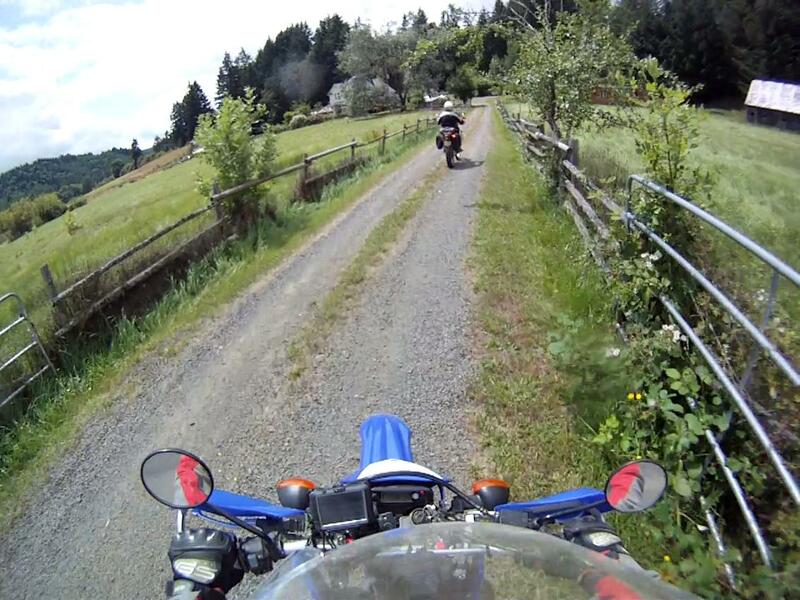 I like riding in the Willamette Valley. Riley has a nice choice of roads on our way to the Coast Range. The road on the video below is particularly nice, as the we meander to one of the ends of the valley and it narrows just before we get to the gravel roads and the mountains start. This was the second time I had been following Riley and Doug on this very set of roads. Usually I don’t stop to take pictures when I’m riding with them. But this view, the trees and the mist and fog was too nice to let go, so I stopped for a photo. They were stopped to air down their tires not too far from that. I don’t air down my tires, which gets me reprimand looks and comments from Riley: “it is better than dropping your bike.” I just learned to let the bike “dance” instead of dealing with stopping, airing down the tires, then airing up again. They both also comment on how my tires are worn out. They are right. The sun was just trying to break through at this time. I took more photos as they worked on their bikes. 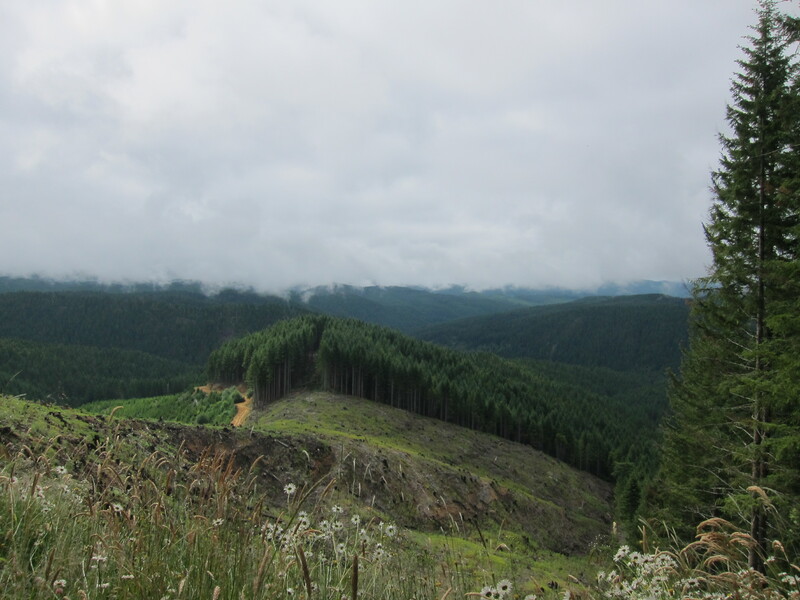 Logging, one of the main economic activities in Oregon. We get going again. 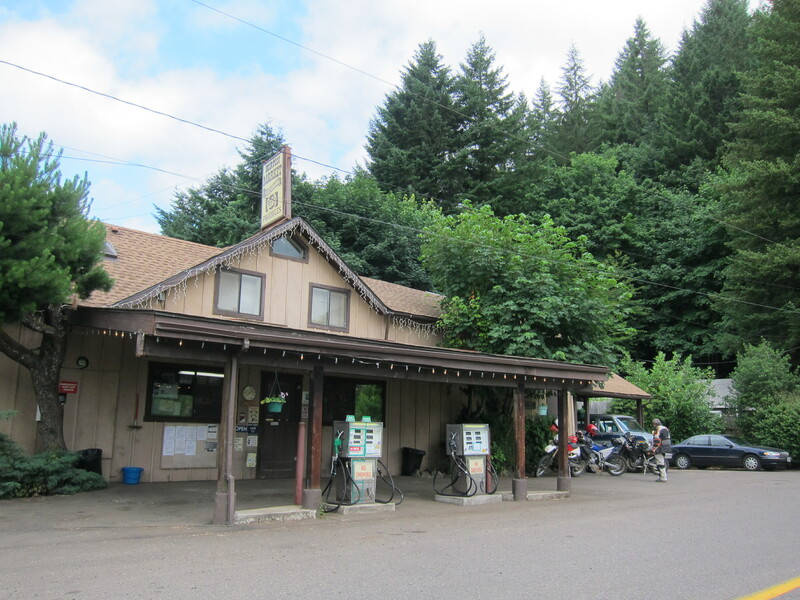 Eventually we find our way to Alpine Road, which is the paved road that goes from Monroe to Alsea (where you find the Alsea falls, documented on a previous trip with the Ducati). From Alpine road we turn left and go south, climbing back up towards the Prairie mountains on a road that I have a feeling is one of Riley’s favorite roads. After two times on that road, I realize when we get on it he cranks up the speed. I’m not complaining! And riding on this road, going fast, and close to the large trees at the beginning part of it reminds me of a scene on the Star Wars film “Return of the Jedi.” Check the video below to view a portion of the climb on this road. Eventually we crossed the Prairie mountains that is the taller set of mountains in the area, set like a small range going west to east. Crossing from the north we made our way to Hult Pond and stopped by in Horton for a snack. And then the story telling started. 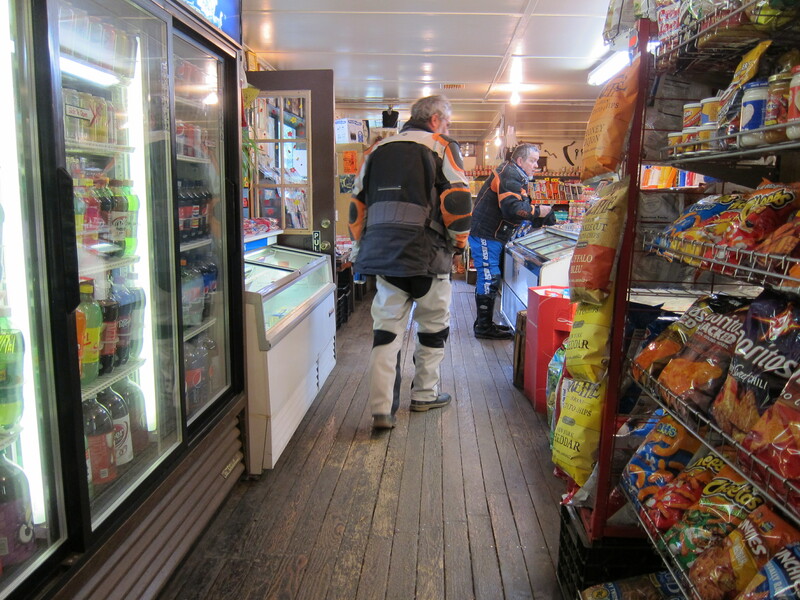 Soon Ryan was talking about Moto GP, other moto races, and interesting bits of information about motorcycle stuff. 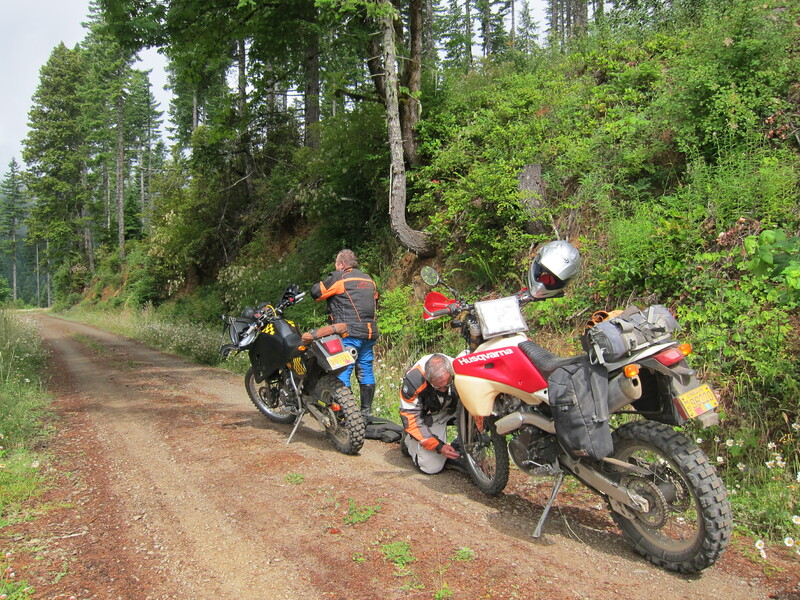 We got back on the bikes, continued south on Horton road, connected with Highway 36 and went west towards the coast. 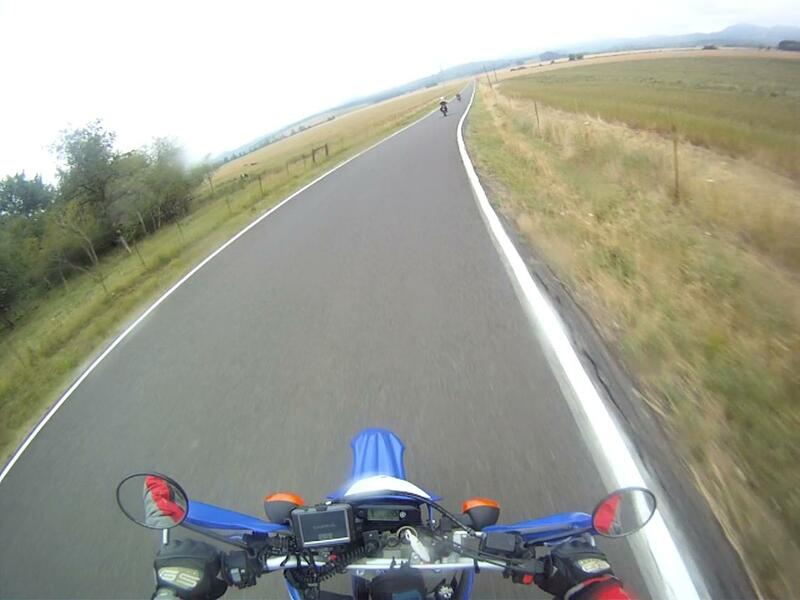 Then Riley made a right turn and we started climbing towards a loop road, which goes close to Elk Mountain. The idea was to stop by a viewing point of Triangle Lake. 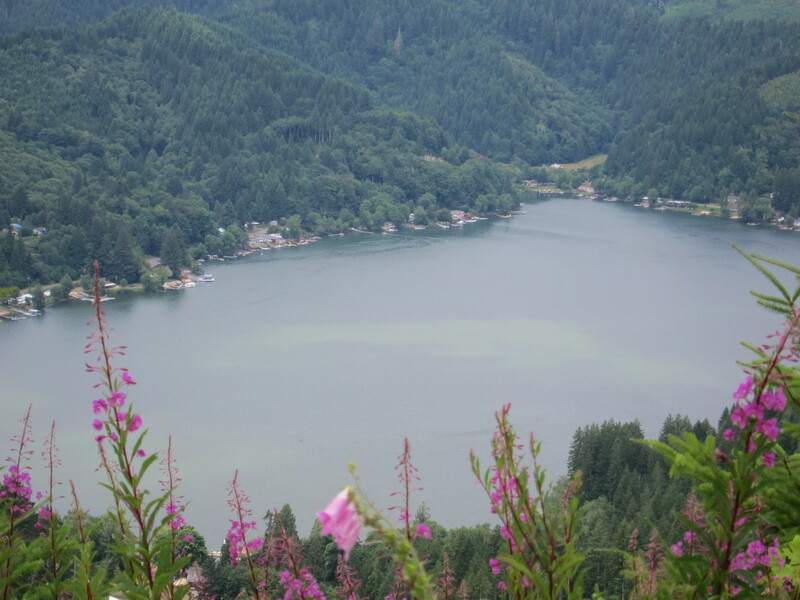 I’ve ridden by Hwy 36 many times, going by Triangle lake. But I had never seen it from this angle. Really Nice. There is always a lot of action on this lake during the summer. Riley always add a feature to the ride. This was today’s feature. We went down the mountain, hit Hwy 36 again. 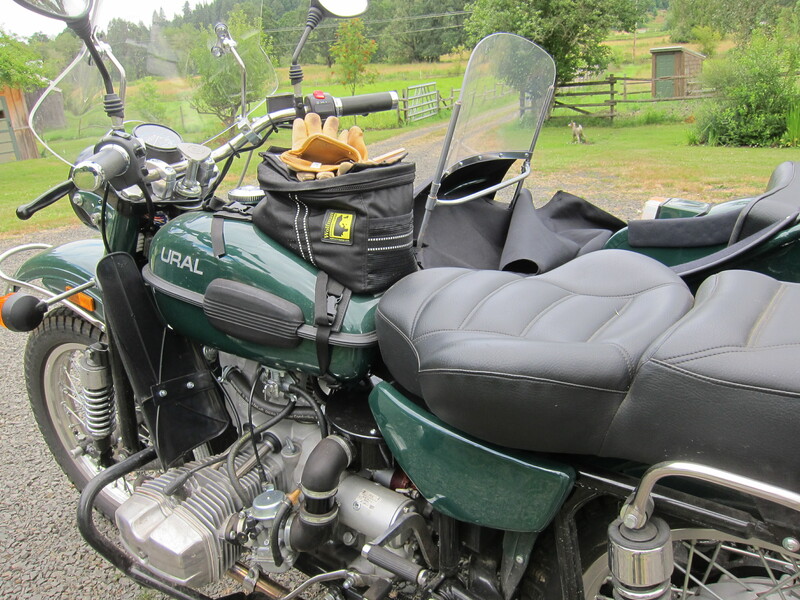 Eventually Doug and I went our way back to Eugene while Riley took a more direct route to Junction City. Doug mentioned a beer after the ride. I said fine. I didn’t know where that was going to be. 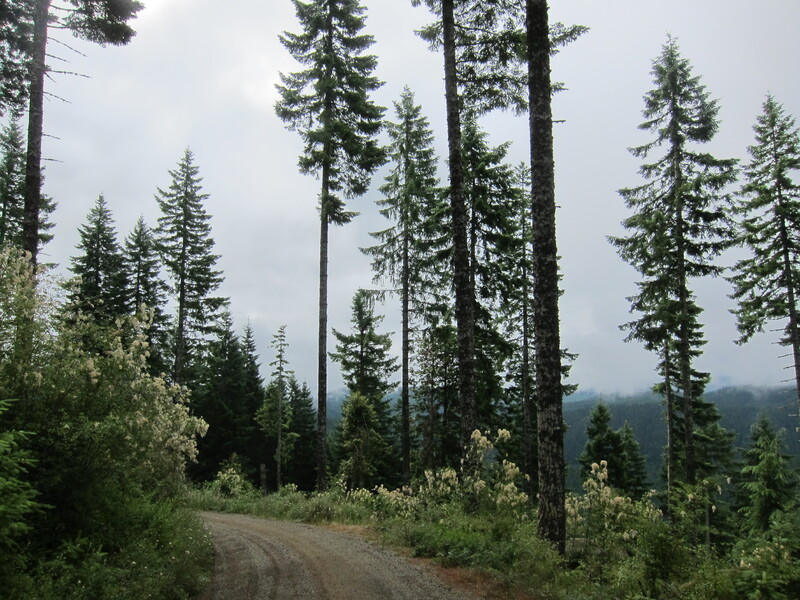 But soon we were close to Eugene and he took a route via Territorial road and Crow. We are still in the country side, just outside Crow as I follow him as he makes a turn into someone’s drive way. It turns out that is the house of friends of Doug and his wife. This people were really nice to me, invited me to have dinner (or was it a late lunch?) with them. They set this nice table outside. And we had a nice meal and had a nice conversation. Dinner. Or was it Lunch? It happens they have a Russian made Ural. 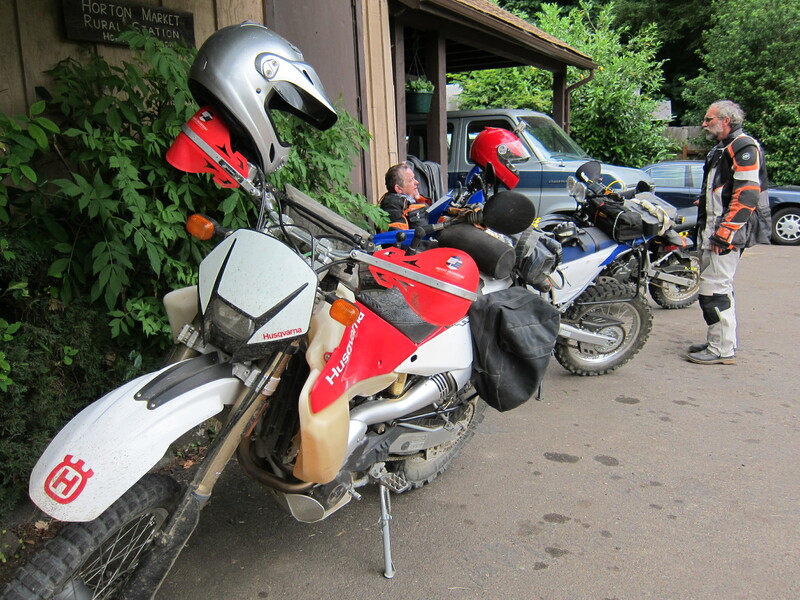 These are quite interesting bikes, with the side car. He takes it out and we take a close look at it. They have a “version” of the BMW boxer motor, an older air head version of it. 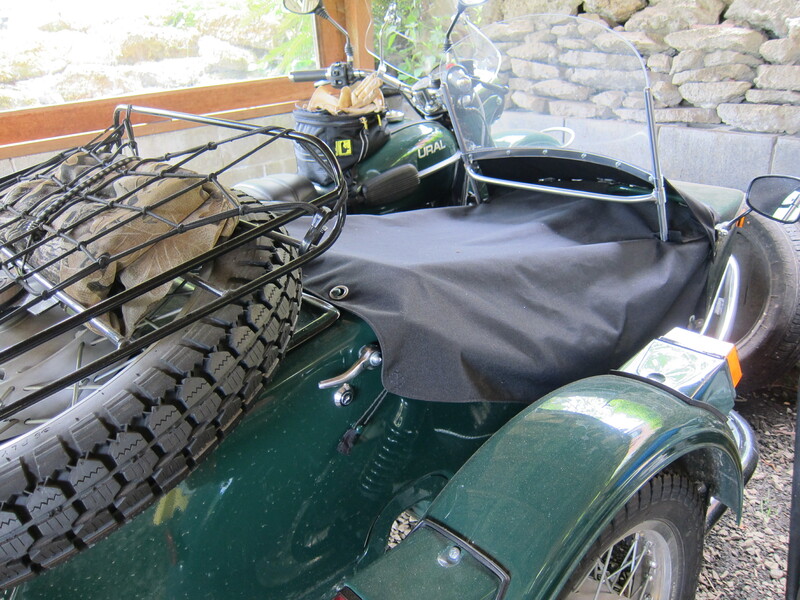 The Ural and the boxer motor. After a nice and comfortable time with them, well fed and all, we said our good byes and I made my way home. 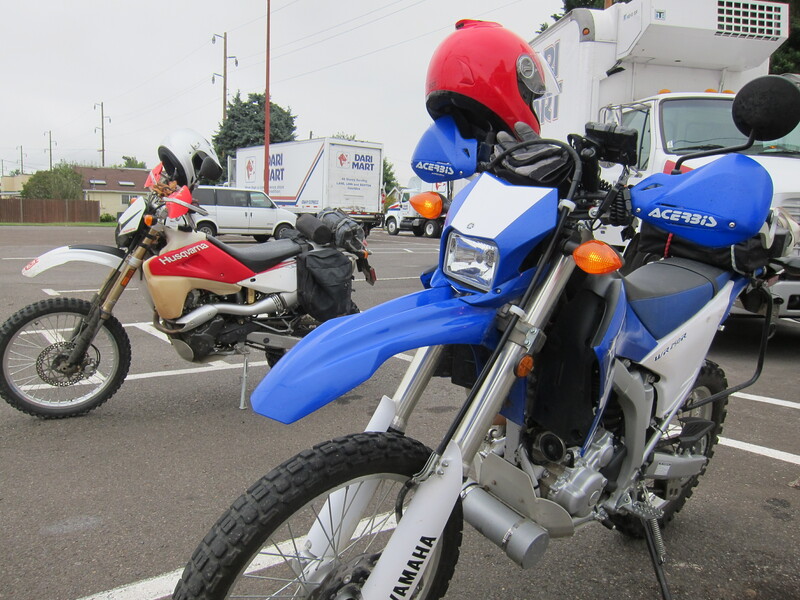 The bike was on fumes, the amber light had been on for the last 30 miles or so, making 118 miles after I filled the 2.2 gallon tank in Junction City. Then I take a closer look and I find the headlight is broken. It must have happened when I was following Doug on one of the mountain climbs. I was close behind him and a large enough rock must have hit it at the right speed to break it. 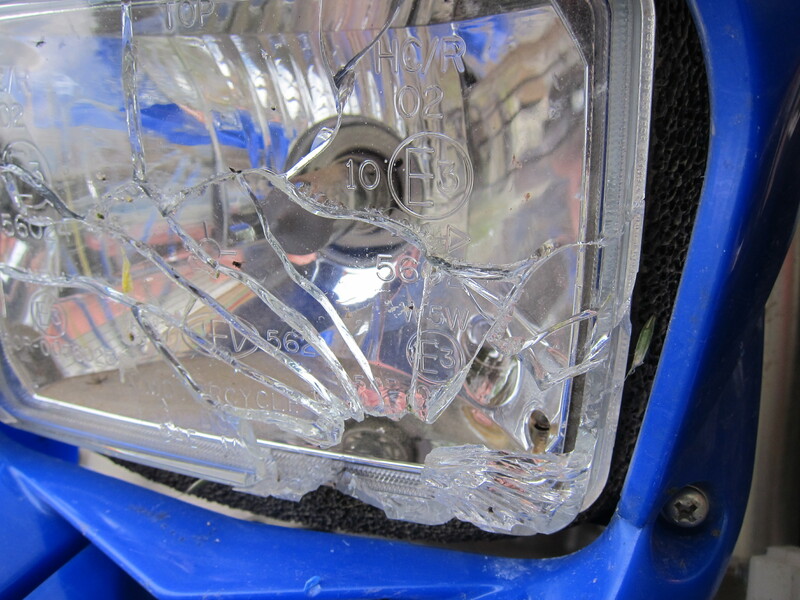 Better had a lens protector after I put a new headlight. These things are expensive. Today’s ride was 132 miles long (211 km). Short but really nice. Thanks guys, I really appreciated the view from the Triangle Lake. And Doug, dinner and meeting really nice people was a very special bonus! 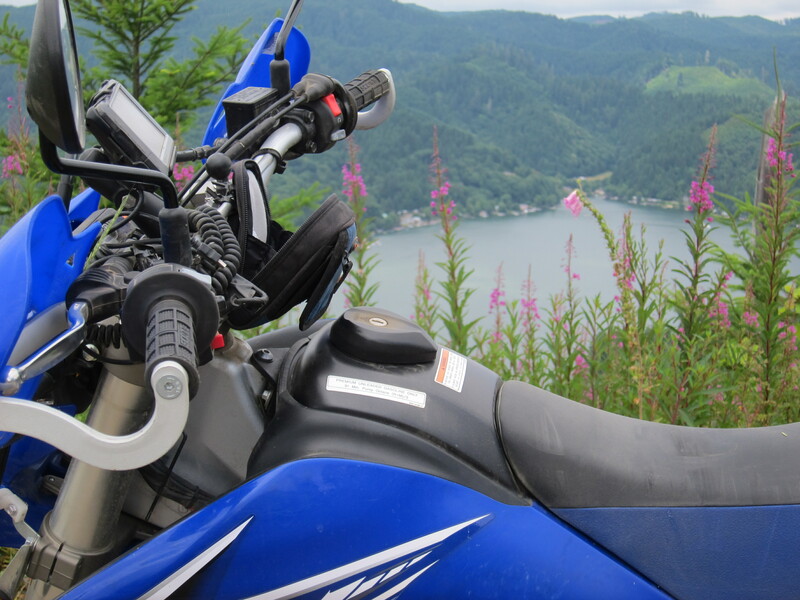 This entry was posted in Riding the Yamaha and tagged Oregon Coast Range, Triangle Lake, WR250R. Bookmark the permalink.